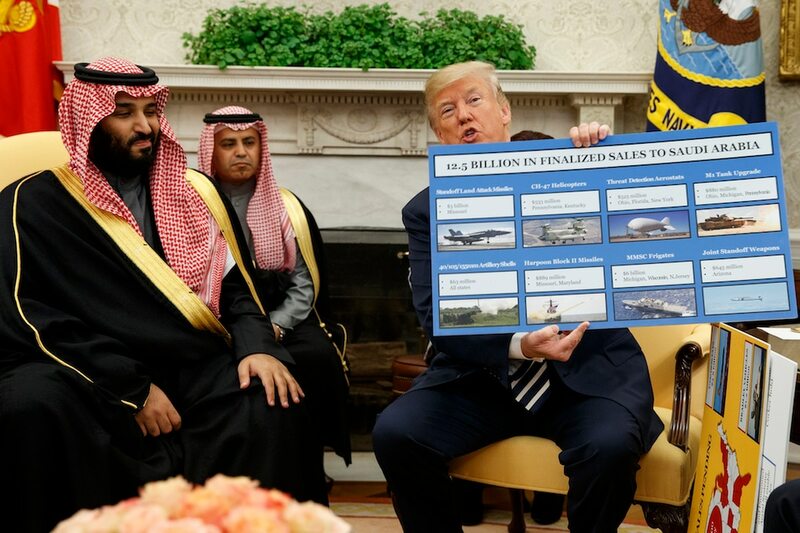 SIMI VALLEY, California — In light of the murder of journalist Jamal Khashoggi and ongoing humanitarian concerns with the situation in Yemen, members of Congress have expressed unprecedented concern about continuing to sell weapons to Saudi Arabia. Now, the newly announced top Republican on the House Appropriations Committee has thrown her weight behind the option to end the long-standing arms relationship with Riyadh. Granger’s comments could be a signal for how badly the relationship between Saudi Arabia and the U.S. Congress have soured in the last year, as a result of the situation in Yemen and the fallout from the Khashoggi situation. Granger is a vocal proponent of the benefits of selling weapons abroad and represents a district heavy with Lockheed Martin presence. As the newly announced top Republican on the appropriations committee, Granger would have an outsized ability to influence funding for Saudi military activities. The question of whether that is the right move, however, remains unclear. Michèle Flournoy, a former undersecretary of defense for policy, said that while looking the other way on Khashoggi is a “betrayal of our values,” it’s also bad for business. The U.S. can’t break that relationship entirely, she said, because it’s too important to the region. Instead the Trump administration should try to engage all the “levers” of government. “I personally would draw a distinction between offensive weapons being used in Yemen and defensive systems the Saudis need to protect their cities from Iranian missiles coming across their borders,” Flournoy offered. Meanwhile, Andrea Thompson, undersecretary of state for arms control and international security, argued that the potential return from the arms sales would indeed benefit the American public both in economic factors and in shared security. The American public, Thompson said, should not judge the Saudi relationship in “days and weeks” but in the decades-long relationship between the two countries.